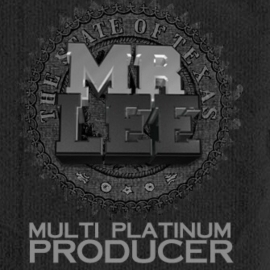 Mr Lee is a multi-platinum music producer from Houston Texas. He has produced records for Scarface, Tupac, JayZ, Slim Thug, Paul Wall BunB, Pimp C, E40, Lil Wayne, UGK, Dewele, Zro, Lil Keke,Trea the Truth, Jon B, Outlawz, Yuckmouth, Luniz, Nipsey Hussle, and many more. He has been and important part of hip hop in Texas and the south. He has set trend after trend for the last 10 yrs. Mr Lee is more than just a music producer he creates movements in the hip hop industry.